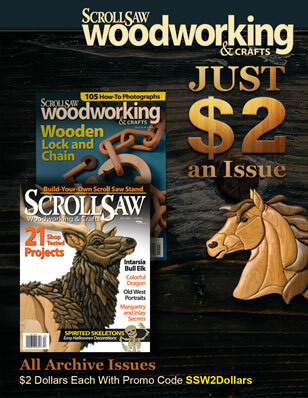 Scroll Saw Woodworking & Crafts - Page 55 of 63 - Everything for the scroll saw enthusiast, from tips and techniques and tool reviews to patterns and instructions for amazing projects including fretwork, intarsia, portraits, puzzles, and much more! Steve from scrollsawworkshop.blogspot.com shows how to make a gift box. Steve from scrollsawworkshop.blogspot.com shows how to make a Floral Clock. 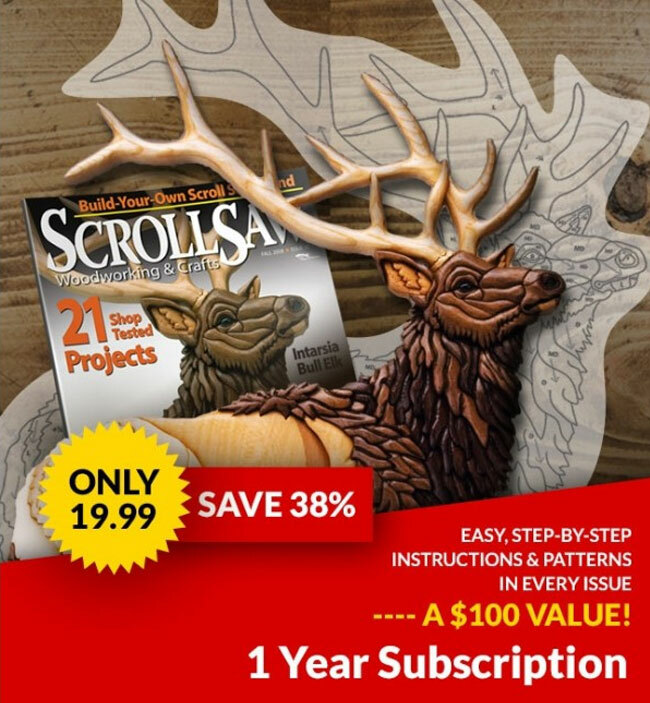 Steve from scrollsawworkshop.blogspot.com shows how to finish a scroll saw project. Steve from scrollsawworkshop.blogspot.com shows how to apply a finish to a scroll saw project. Steve from scrollsawworkshop.blogspot.com shows how to make an African-inspired tongue drum. Steve from scrollsawworkshop.blogspot.com shows how to use Corel Draw’s interactive contour tool. Steve from scrollsawworkshop.blogspot.com shows how to make a collapsible basket.